2017 Budget includes major funding for next-generation technology as Philip Hammond announces further support for small and large businesses alike. The Government has revealed major backing for a range of new technologies in the 2017 Budget. 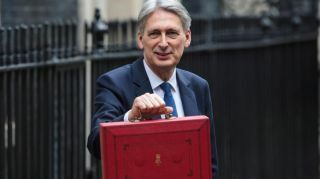 Technology took centre stage as Philip Hammond revealed details of the government's spending priorities going forward, including large investment for AI and 5G systems. Top of the list was a combined £500 million investment in 5G, fibre broadband and artificial intelligence, with the latter benefiting from a £75m fund. Philip Hammond also revealed £160m in government funding for 5G mobile network research, helping to push the UK as a pioneer in this technology. "The world is on the brink of a technological revolution that will change the way we work and live," said Hammond. "And for the first time in decades, Britain is genuinely at the forefront of this." Also included was major investment in driverless vehicles, with Hammond saying that, "There is perhaps no technology as symbolic of the revolution gathering pace around us as driverless vehicles." However the Chancellor did note that electric vehicles also had a part to play in advancing motoring technology, revealing a £400 million fund to support electric car charging investment, and a further £40 million investment in electric car R&D. Hammond also revealed that the government was allocating a further £2.3 billion for investment in R&D across the UK, and that the R&D Tax credit is being increased to 12 per cent. He noted that a new technology business is founded every hour in the UK - but that the aim is for that to be every half hour. Start-ups will also now benefit from quicker unlocking of capital, and a £2.5 billion investment fund aiming to create the UK's next 'unicorn companies'.